There is a bit to blogging that feels a lot like a soap box. I'm not really sure who's reading this, but I do know it kinda feels like I'm talking to myself. But that's ok. This is going to be a short one but still a valid observation. During this renovation I am reminded of why I love antiques. You see, I have an incredible sense for detail. (notice, I didn't say OCD) While this trait seems suitable for restoration of an antique car...it can actually drive you FLIPPIN' CRAZY :) I'm learning fast that there are two stages to restoration. 1. You go over things first, find what's missing, what's broke, and make general improvements. 2. Once everything is operational, THEN you worry about the fine details. Everything about this Bus just fascinates me. How it can be so old yet come back to life so effortlessly. I've heard two phrases from my mechanic, repeatedly, over the past few months. "She's responding well to my treatments" and "there is some good karma with this Bus." At first I thought he was crazy but I'm warming up to both ideas. There are three things you need when deciding to start a photo booth company in a Volkswagen Bus. 1. Your wife's permission. 2. As I mentioned yesterday, a trusty mechanic, and 3. Incredible Branding. I've been friends with a branding expert for as long as I can remember. I wouldn't have trusted anyone else with the concept. 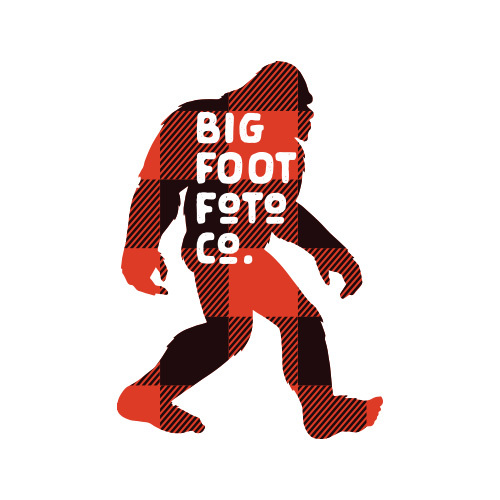 I emailed Jason and said, "here's my idea, and I want a logo that someone would want to put on their Yeti." Fast forward a month and I had just placed a sticker order. I was shooting a photo booth at the Grand Geneva, in Lake Geneva, and got to talking with a guy about the Bus. I showed him a picture of the above logo and the first thing he says was, "Dude, I love it. You need to send me that so I can put it on my Yeti." I couldn't have been more proud. The validation of a job well done and of an idea worth pursuing. So this one is to my friend Jason who has worked tirelessly on all my silly ideas. Who takes ideas and puts them onto paper with incredible art form. I love you like a brother. Why a Vintage Photo Booth? The decisions leading up to buying this Bus and the ideas that moved it forward are simple. If you build it, they will come :) No, but really, I had ran the idea past a few close friends expecting them to shoot holes through it a bit and there was an overwhelming feeling of support that this would be something great. One friend wisely said for any new venture to have success you need two things. "A great idea and an unfair advantage." I had both. Having been a wedding photographer for almost a decade in the area, I already had all the connections. I had all the gear. I knew the products and how to make it all work. To that point, I also had one other crucial asset to making this all work as planned. A good friend of mine is an incredible VW mechanic; the old school kind. The craftsman type. He's known in some circles as "the Bus Whisperer" and has roughly 50 VW restorations under his belt. As soon as I knew he was up for a small project I began to search for a Bus. There's also the issue of trying to find something that's 40 years old in the Midwest. These things don't exist here; my sights were set somewhere in California. A rust free bus. One that hasn't been put through winters, salt, and other harsh conditions. Now here's where we catch the break of a lifetime. My wife was taking in our VW to the dealer for an oil change. My wife is great; but she's not the most observant when it comes to vehicles. They're just a means to her...a way to get from point A to point B. She's handled my enthusiasm quite well over the years but it's hardly rubbled off on her. Ok, back to the story. So she pulls into the service bay and in a strange series of events, as if all stars aligned at this very moment, she glances right and through an opened door, sees a bus pass by. Let me say that again. You have my wife driving one way. The bus driving another way. And a door swung open in between them. Talk about magical. She texts me a picture of the bus with a smiley face. The first thing I notice is it doesn't have a rear license plate. Without hesitation I ask, "Is it for sale, there's no plate on it!" Staring at those three dots as I'm waiting for her to hit send...that seemed like an eternity. I replied, "I'm on my way." You'd be forgiven if you're thinking you've never heard of us before. That's correct; we are the new kids on the block. I shouldn't say new...rather rebranded, revamped, and reenergized. :) I've been a wedding photographer for almost a decade now. I've been to hundreds of weddings. I LOVE weddings. I love photography. I love film. There's actually not much I dislike about weddings. I guess you could say weddings are my thing. I'm also a bit of a motor head, but not in the redneck sort of way. I had my sights on an old bus for some time now and I thought how cool it'd be to have a photo booth inside of a VW Bus and drive it to weddings. Turns out, I wasn't alone in thinking this. My idea was validated the instant I saw how individuals were using old Volkswagens at their receptions and what a unique backdrop it was to see. In my experience, weddings have become such a statement of uniqueness and personalization and one the things lacking in the market is a unique photo booth. Sure, there are good photo booth's out there. But they mostly aren't pretty. Functional, yes, but not pretty. My expectations are that your photo booth should be as fundementally aesthetic as everything else you've chosen. The plates, silverware, chairs, linens, center pieces...you chose all that for a reason. It's your style and resonates with you. I'm in business for the bride and groom who see this Bus and think, "holy cow, I gotta have that at my wedding." Boom. There you have it. It's a photo booth inside of a Volkswagen Bus and I'm positive you and your guests will absolutely love it.